The Enneagram of personality is a system that defines nine basic patterns that not only help us understand ourselves and our loved ones, but also show us the nine ways we limit ourselves and our own potential. In the words of Eli Jaxon Bear, it is a “wisdom mirror” that shows us how we are imprisoned by Ego and lays bare how we’ve sacrificed our true nature for a limited sense of self. Unlike other systems, the Enneagram goes beyond simply classifying traits. It starts with the premise that our “type” is not the whole truth of who we are, but rather the learned pattern of defense mechanisms we employ to deal with everything from everyday stress to old childhood wounds. Unfortunately, these defenses become habitual ways of shutting down, cutting us off from the vibrance and immediacy of life as well as the full expression of our own true nature. We all want to open up more, be more loving and life-affirming, have deeper relationships and better appreciate our blessings. But in the face of day-to-day stress, traumas and other difficulties, we find ourselves approaching life in a clenched manner that is far less receptive and joyful than we’d like. We get lost in our problems and don’t know how to go about living any differently. But once we understand the mechanics of our Enneagram type, we begin to see the box we’ve put ourselves in. We can observe our patterned behavior in the moment. With time and attention, our habits begin to loosen their hold on us and we respond more freely, honestly and spontaneously to life. With this newfound freedom, we experience ourselves and reality from a broader perspective and old traumas, wounds, and limiting self-identifications naturally and effortlessly fall away. 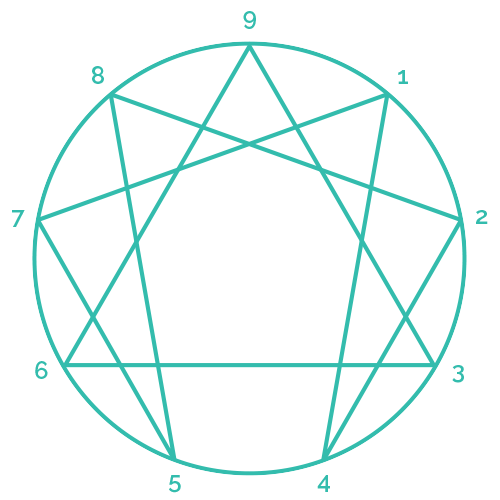 The Enneagram is both complex and elegantly simple in that it is capable of organizing, explaining, and even predicting the vast range of human behavior, motives and perceptions and expressing it in a system of brilliant symmetry. It’s easy to learn, but as you grow, you will find that it grows with you, offering new insights as your understanding develops. Because of this, it can be a powerfully accurate and precise tool for helping us to embrace life more fully, love more deeply and come to a greater understanding of ourselves and our loved ones. However, learning to use the Enneagram skillfully takes time and self-observation. It is not a quick fix that will tell us how to get from point A to Z and live happily ever after. Nor will it do the work for us. Like all of the most valuable tools for personal growth, how (and whether) it is used is up to us. When used wisely, it can help us access the wisdom and compassion we need to reconnect with our true nature.